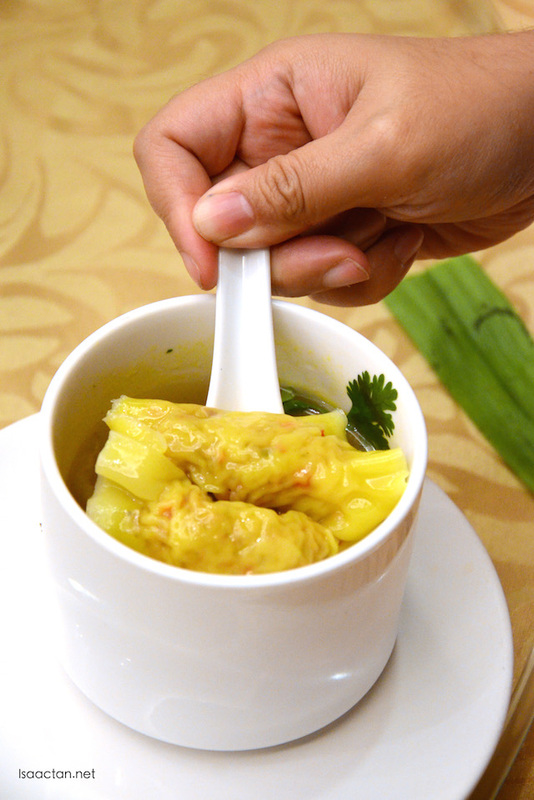 A promotion to look out for, from Tai Thong Group Malaysia, their delectable spicy dim sum series. Do note the promotion will only start running from 1st November 2015 onwards until 31st January 2016, and it's not out yet as of time of writing. I've had the chance to try out their spicy dim sum promotion series the other day under a media session, and it's good. Check the dishes out below. 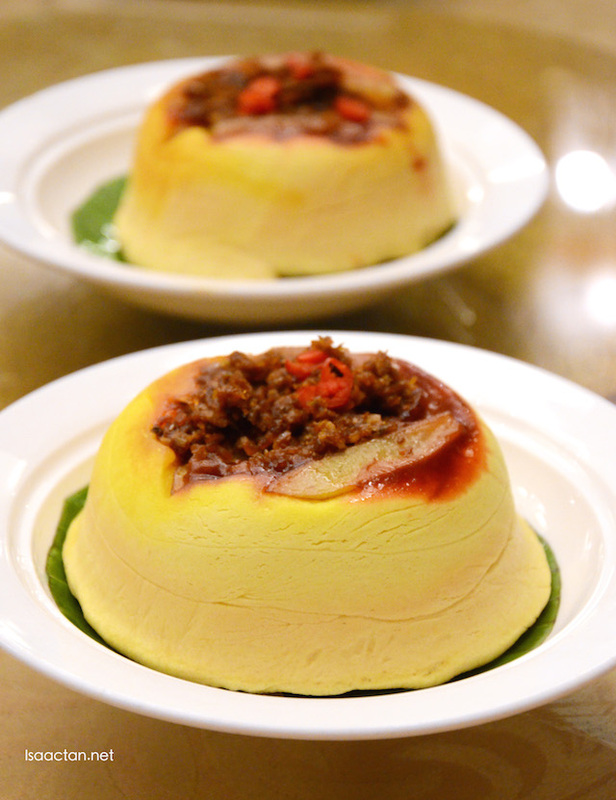 Spicy szechuan flavours brings out the flavours of this year's spicy dim sum from Tai Thong. Showcasing four spicy dim sums, this series will certainly heat up your senses. 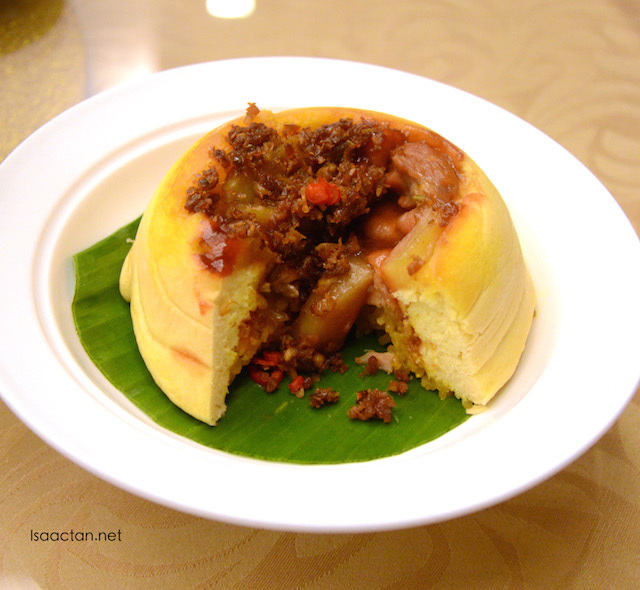 A mix of yellow glutinous rice with chicken and spicy Nyonya sambal wrapped in bao bun makes for a really good dish. The Chicken Bun Nyonya Style does have some really authentic nyonya sambal which proves to be real tasty and flavourful. Good stuff, especially for spicy food lover like myself. Delicious minced meat and seafood filled up these delectable spicy dumplings in a peppery soup. I do think they put in a tad too much pepper in the soup, but it does give out a very nice flavour. The heat from this dish will definately make you sweat, and ask for more. 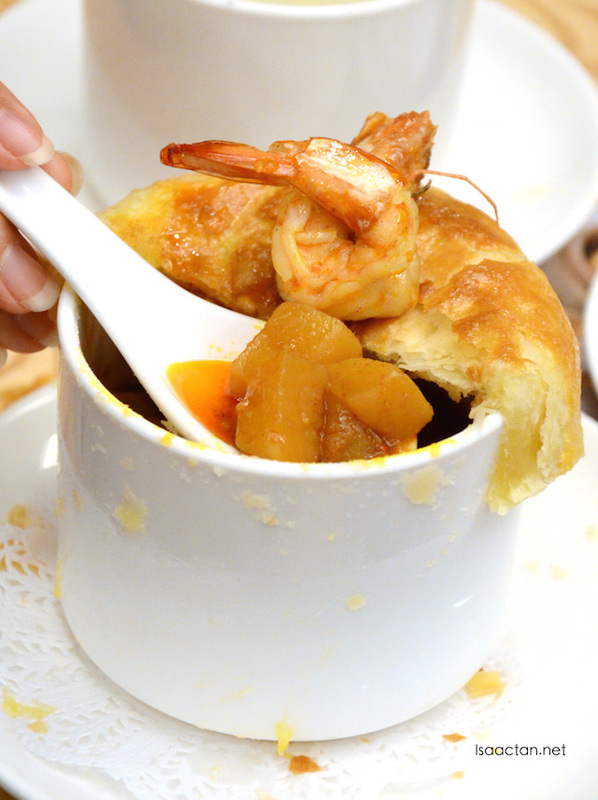 Tai Thong's Seafood Curry with Puff Pastry is a surprisingly tasty dish. It doesn't look that way on first glance, but once you dig in, that's where you will find generous chunks of squid, prawn and fish. The curry inside was a tad oily, but tasted perfect, spicy just the way I like. 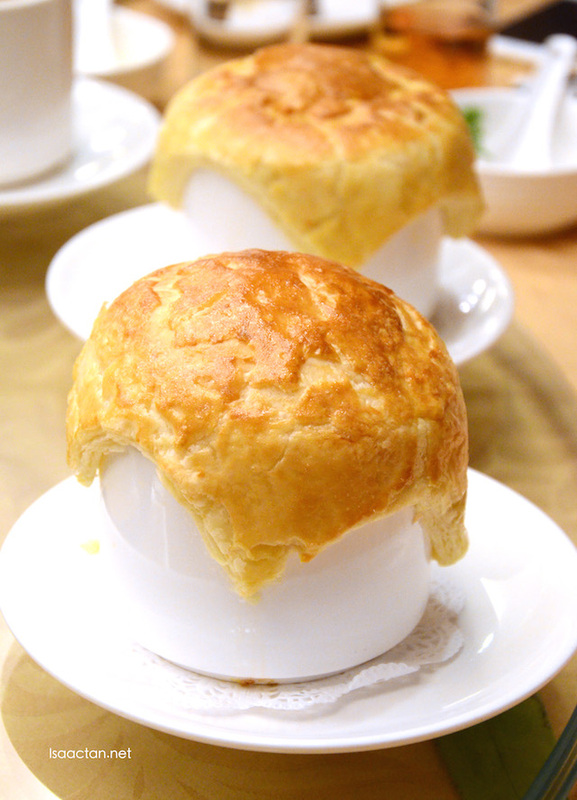 Enjoy the curry with the buttery flaky puff pastry which crumbles to your touch. Last but not least in the series, we have the Pan Seared Spicy Dumpling. 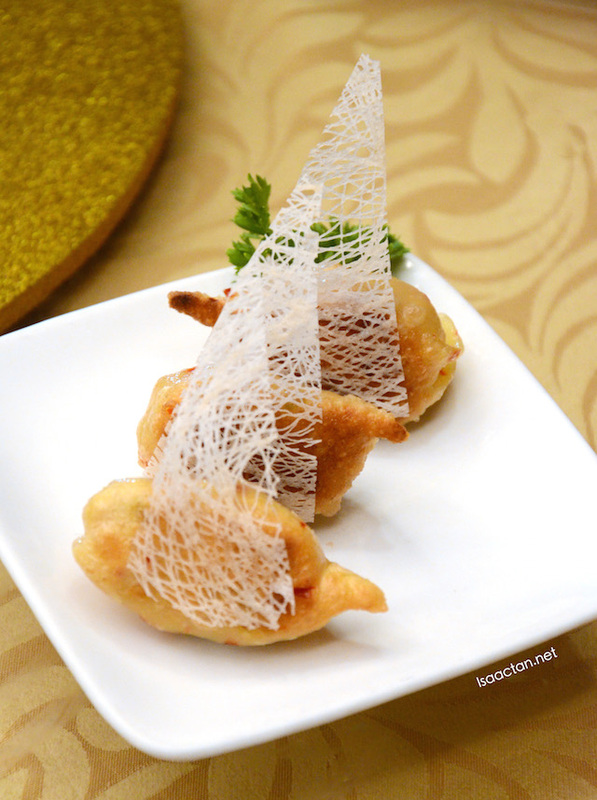 Pan seared to perfection, the spicy dumplings are served with a piece of crispy white lacy wrap. Inside we have delectable minced meat and seafood, a perfect mix of good noms. Do note the Spicy Dim Sum Series Promotion 2015 @ Tai Thong Group Malaysia will only be available from 1st November 2015 to 31st January 2016. Yummmm!!!! I had Tai Thong dim sum once a long long time ago when they had an outlet at Melia Hotel - dunno if it's still there. Nice! Wow, dim sum has certainly evolved over the years. Pan Seared Spicy Dumpling looks exquisitely yummy and rather affordable too. OMG! I love the photos! Very enticing, suddenly I felt really hungry huhuh. Dimsum is the best I must go here soon. yummy, but no try before spicy Dim Sum. Will check this place soon. Actually all the food items are looking yummy and specially Puff pastry is so tempting here. Looks yummmm! Such big proportions they gave you! ahhh! Spicy dimsum! Thanks for sharing Isaac! Oh my that spicy dim sum :) It looks really good Isaac and the puff pastry looks deliciously tempting. I can't imagine dim sum all are spicy >.< I prefer the normal savory taste, but not bad to try though! Their dim sum is truly unique in presentation.. I guess it will taste really great! Long time I don't eat spicy dimsum! My family and I used to eat dimsum sometimes morning day. My grandma love it. When I free, i bring my family try dim sum from tai thong! :D Thanks for your sharing! Spicy dim sums? Yes please. Grinz. Would love a bite or two.